Click4Flats.com/Click4Flats* is a facilitator and has accordingly compiled the information from various sources with the objective to assist the user/visitor of the website ("Client") in identifying the suitable projects. While Click4Flats endeavours to compile the information from sources with reasonable care and review/update the same from time to time based on latest information. Click4Flats makes no representations or warranties of any kind, express or implied, with respect to the completeness or accuracy of such information, quality, suitability and appropriateness of the underlying products and transaction, or the availability of the product and transaction. Click4Flats.com is not a registered channel partner for few / many of the real estate projects (hereinafter referred to as “Project”) listed on this Portal. The details displayed here are not provided by the developer and hence shall not be construed as an offer for sale or an advertisement for sale by Click4Flats or by the developer. All the information contained on the website from time to time including information pertaining to the projects, the visual representations like elevations, layout plans, floor plans, other things like dates, prices, super built-up area, specifications & brand names and other details or features mentioned herein are tentative/indicative and subject to variation(s) and modification(s) and Click4Flats reserves the right at all times to review/update any or all of the above information on the website without prior notice. Prices do not include extra charges viz. preferential location charges, club membership, lease money, maintenance, registration fee, stamp duty, service tax/GST or any other charges/levies/cess/tax etc. There is a possibility that the information displayed may not be current or is incomplete. Clients are therefore suggested to verify the completeness and accuracy of information from Real Estate (Regulation and Development) Act, 2016 (RERA) website of respective state where the Project is located. The display of information on Click4Flats does not in any way confirm or guarantee the allotment of registration of Project under RERA. Click4Flats assumes no liability for any errors and/or omissions in any posted information or any other material contained on this website or the underlying products/transactions. Any and all graphic images contained on this website are indicative artistic conceptualizations and do not purport to exactly replicate the product(s) depicted therein. 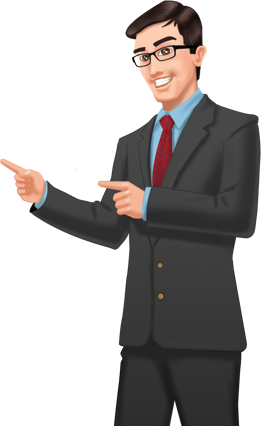 References on this website to any products, events or services do not constitute or imply any recommendation on the part of Click4Flats. Clients are advised to carry out their own independent due diligence before undertaking the transaction. The website may contain links to third-party websites. These links are provided solely as a convenience to the Client and not as an endorsement by Click4Flats of the content on such external sites. The content of such external sites is developed and provided by others. In case the Client has any concerns regarding such links or any content located on such external sites, they should contact the website administrator or webmaster of those external sites. Click4Flats shall not be responsible for the content of any linked external sites and do not make any representations regarding the content or accuracy of materials on such external sites. Click4Flats, its Partner/s, employees, agents and other representatives shall not be liable for any direct, indirect, special, incidental or consequential damages arising out of any use of the information contained herein, including and not limited to damages for lost profits, loss of goodwill, loss of data, work stoppage, or accuracy of results. Click4Flats is not responsible and hereby disclaims all liabilities arising out of or in relation to any hacking, viruses, other harmful code that may affect the Client’s device. Click4Flats is an independent facilitator and not the agent of any of the transacting parties and therefore, it does not assume any responsibility as the agent of any of the transacting parties executing any transaction based on the information available on the website. Any dispute in relation thereto, if any, shall be between the contracting parties only. *Note: Click4Flats.com is the platform owned and managed by Click 4 Flats LLP, located at 404, Lakshmi Complex, M.I.Road, Jaipur, Rajasthan, India, which is carrying out its activities in association/collaboration with its business associates. The ultimate transactions may be carried out by the business associates independently.